Let us show you the sights of our beautiful city of Perth to get your bearings and benefit from the informative commentary. It's a true welcome to Perth. This three and a half hour tour takes in most of the city's major attractions plus takes you to South Perth across the Swan River and along Perth beaches. Get to know Perth and Fremantle, the city and the alfresco lifestyle that Perth people enjoy, including Kings Park Botanical Gardens, Swan River, Indian Ocean, Cottesloe Beach and Fremantle. Enjoy various stops en route. Starting in Perth, the tour takes in all major attractions of the revitalised Perth CBD, including the Western Australian Cricket Ground (WACA). Then on to Kings Park Botanical Gardens, where you have the opportunity to view wildflowers (in spring) or take in the stunning views from the war memorial looking back over the city skyline. Continue through the affluent Western Suburbs of Perth, known as Millionaire’s Row before reaching Cottesloe Beach where the Indian Ocean sparkles. Travel on into historic Fremantle, viewing the impressive facades of this heritage listed city including a brief stop. 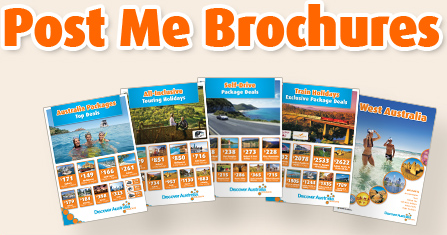 Now you have a good orientation and knowledge of the Perth area, you can return to soak up some places at your own pace. You will be personally met by a DISCOVER AUSTRALIA representative and transferred from Sydney airport to the Indian Pacific railway station. 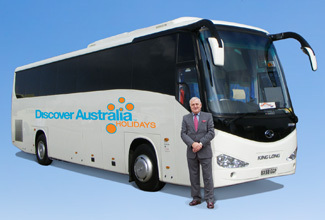 You will also be transferred from the railway station on arrival in Perth to your hotel. You will be personally met at your hotel by a DISCOVER AUSTRALIA representative and transferred from your hotel to the airport for your flight home. Blue Mountains: (Perth to Sydney): Explore the magnificent Blue Mountains by railway, cableway and skyway. The indulgent Platinum Service cabins are nearly twice the size of Gold Service cabins and come with premium fittings. The large panoramic windows give you the best seats onboard the Indian Pacific plus you have an interior window to give you views of both sides of the train at the same time. During the day, your cabin will be configured as a private lounge, with deluxe lounge seating, a table and two ottomans. By night, it is converted to a comfortable bedroom, with either a double bed or twin beds. Platinum Upgrades start at $1540 per person. All packages can be upgraded to include luxurious Platinum Service, simply ask. The “Luxury” hotel option is upscale with a more luxurious feel for the discerning traveller and great for celebrating an anniversary (typically 5 stars). Upgrade this package to 5 nights in a "Luxury" Perth hotel, from just $100 per person. 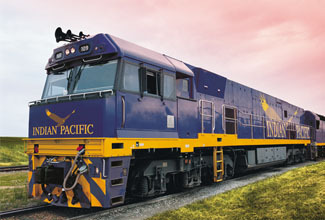 The Indian Pacific to Perth All-Inclusive is very popular. Many dates book out well in advance, please book soon.